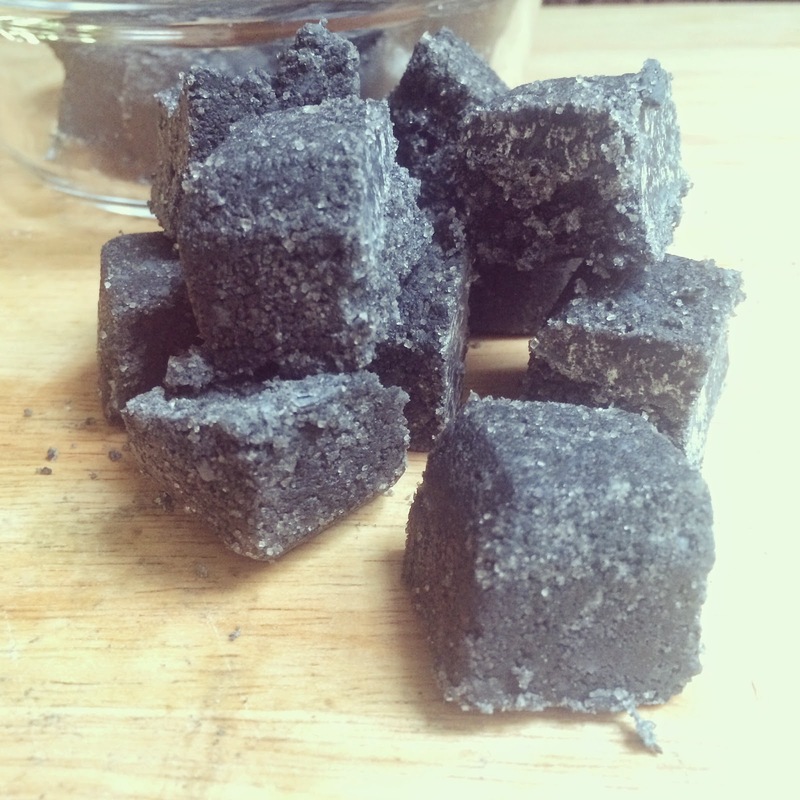 Fresh-Picked Beauty's body scrubbing cubes made with activated charcoal, clay and sugar. You will need one 3.5 ounce handcrafted bar of soap. 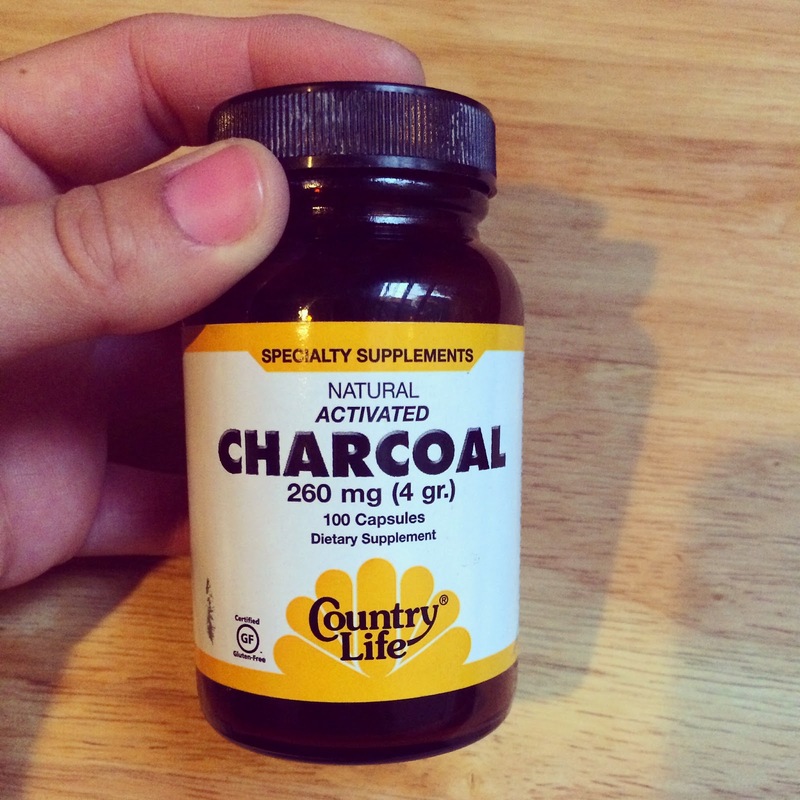 I bought the one in the photo for just $2.50 and it is the variety that has some activated charcoal in it. I bought it at my local PCC market. 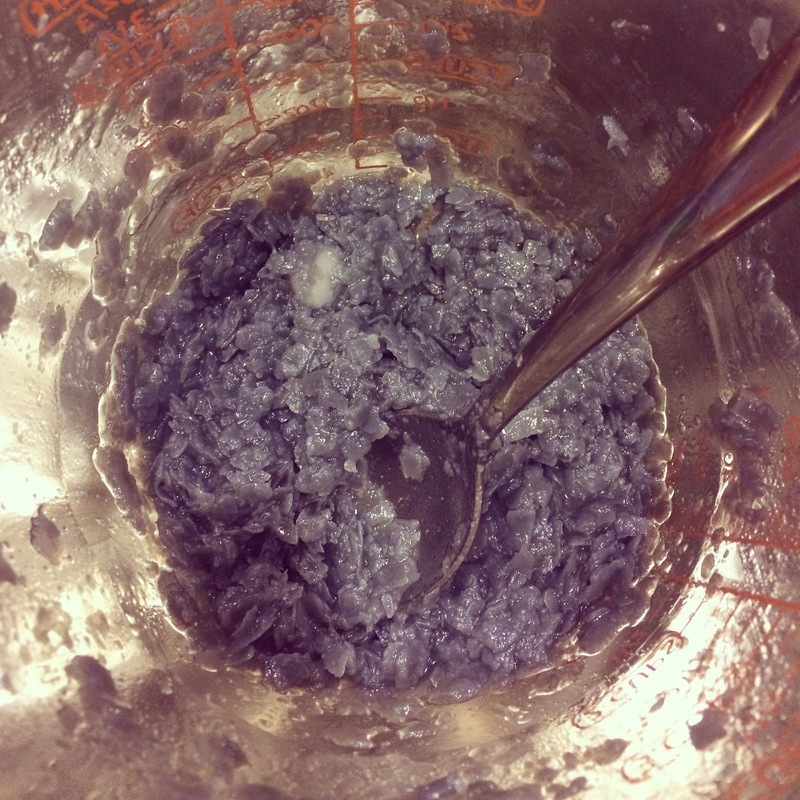 The photo below shows the ingredients in the bar of soap. 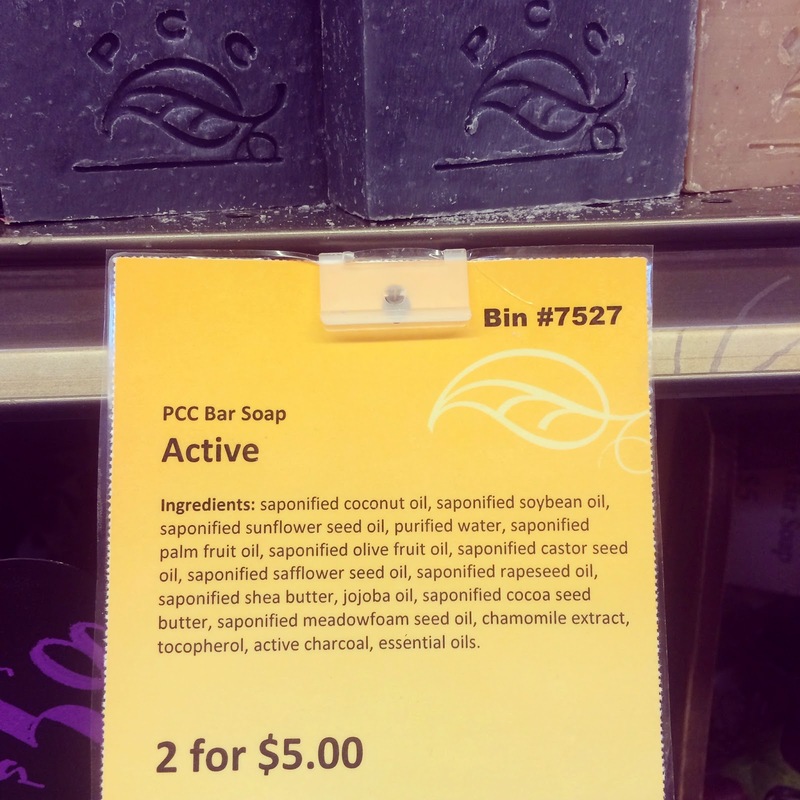 As you can see in the ingredient list, there is some really good stuff going on in this soap. 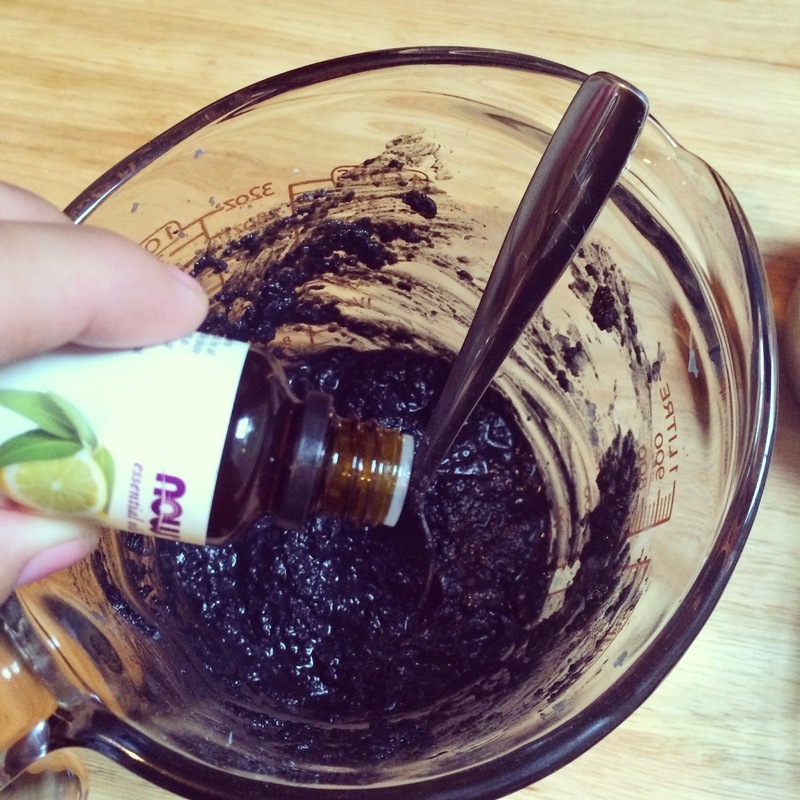 If you make your own soap (LUCKY YOU!!) use what you have on hand. 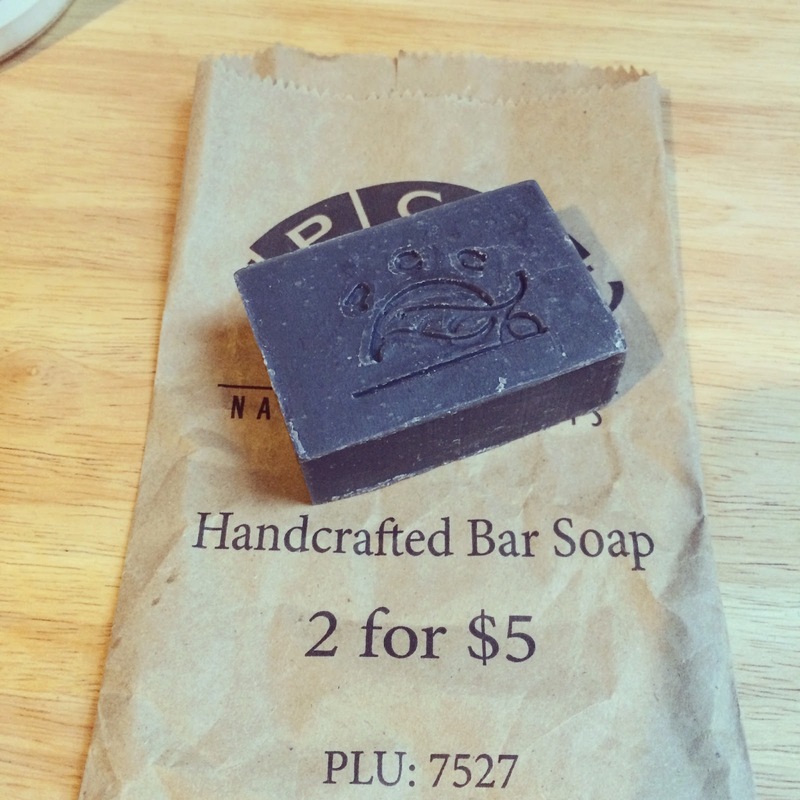 I have always wanted to take a soap making class and start making some from scratch!! It is on my list of things to do. 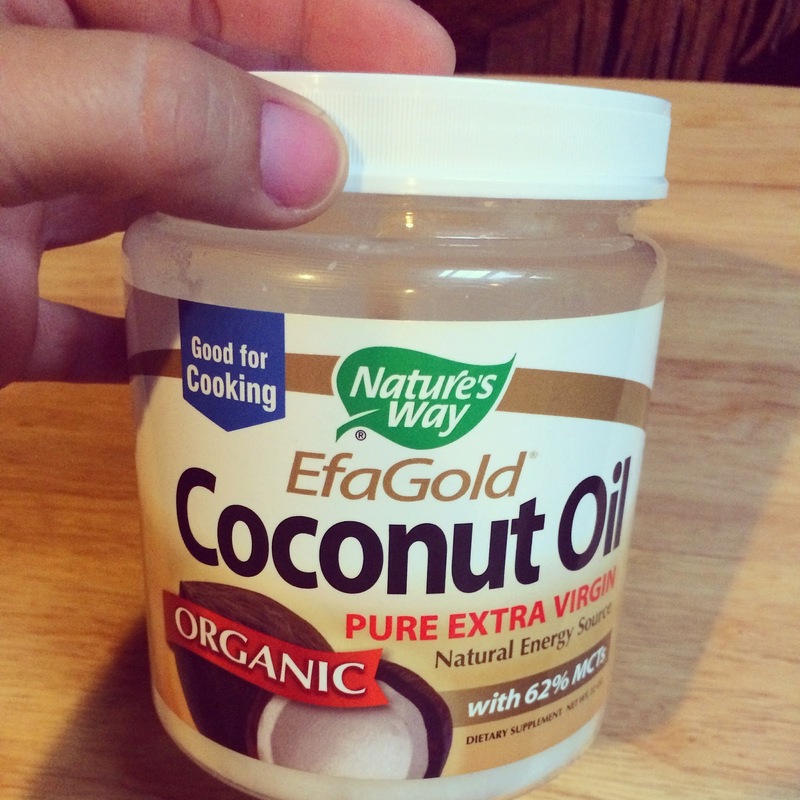 You will need 1/4 cup of coconut oil. 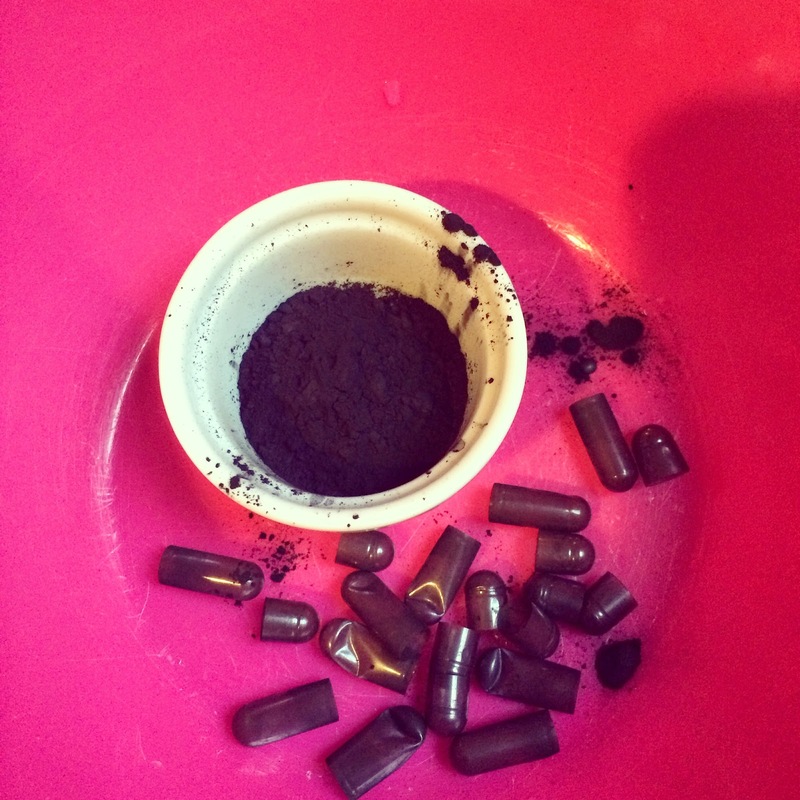 You need ten capsules of natural activated charcoal. There is some in the soap, but I like to add extra. You can just break the capsules open into a small container. You can wear gloves if you don't want your fingers to become black from the charcoal powder. 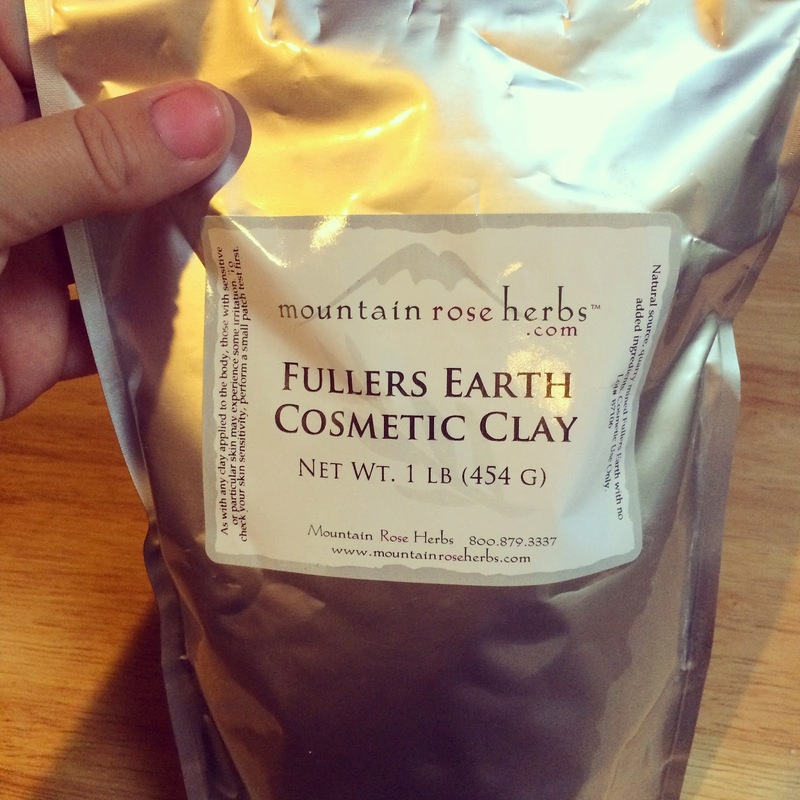 You need one tablespoon of Mountain Rose Herbs Fullers Earth Clay. You need 30 drops of a purifying essential oil or blend. I like the blend in the photo above. 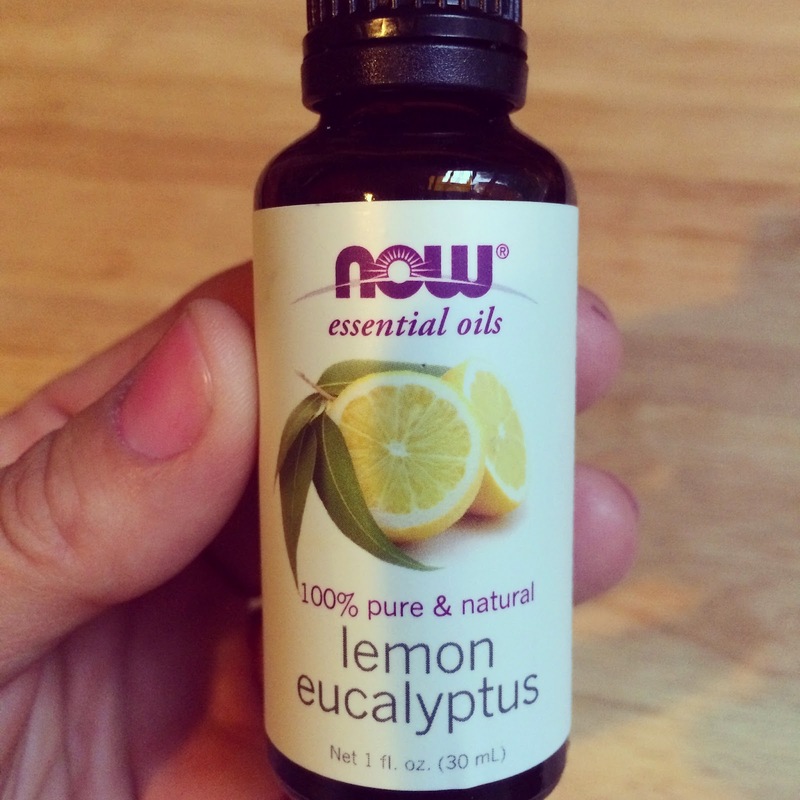 It contains lemon essential oil, lemongrass essential oil and eucalyptus essential oil. It smells AMAZING!!! 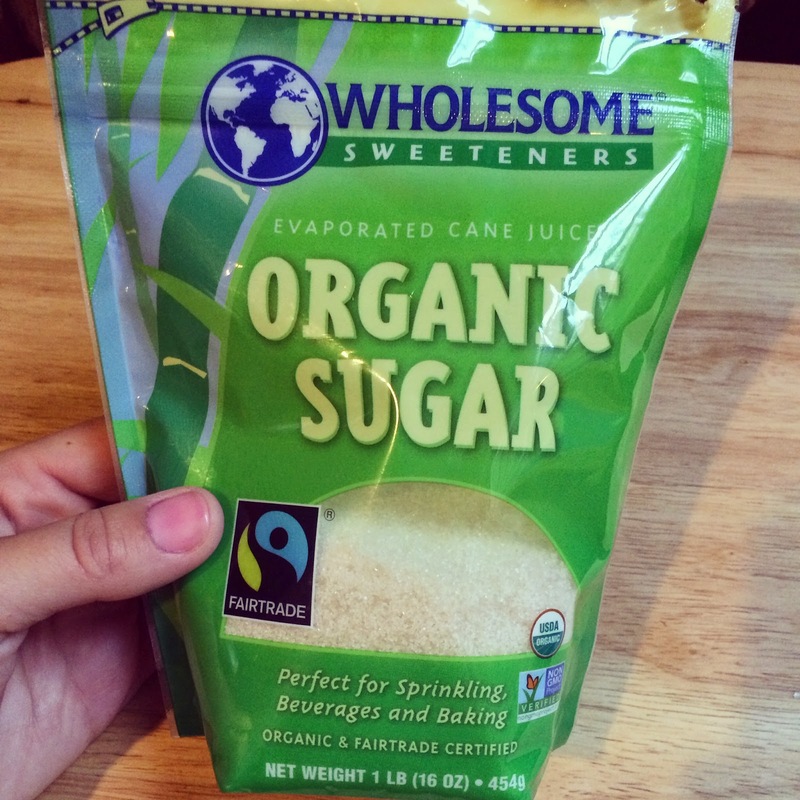 Finally, you need one cup of sugar. 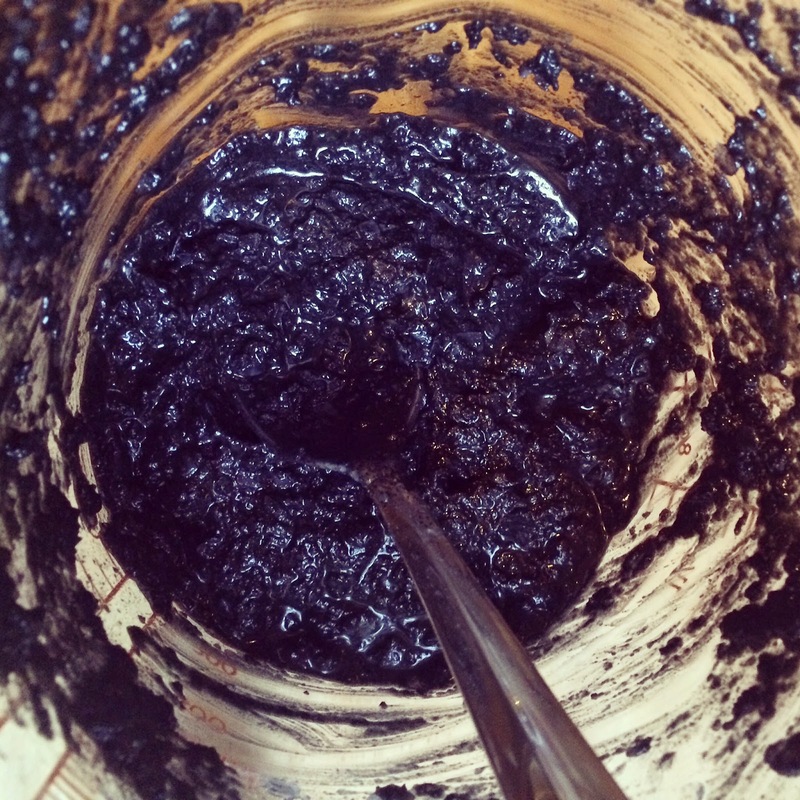 This sweet ingredient supplies the exfoliation. 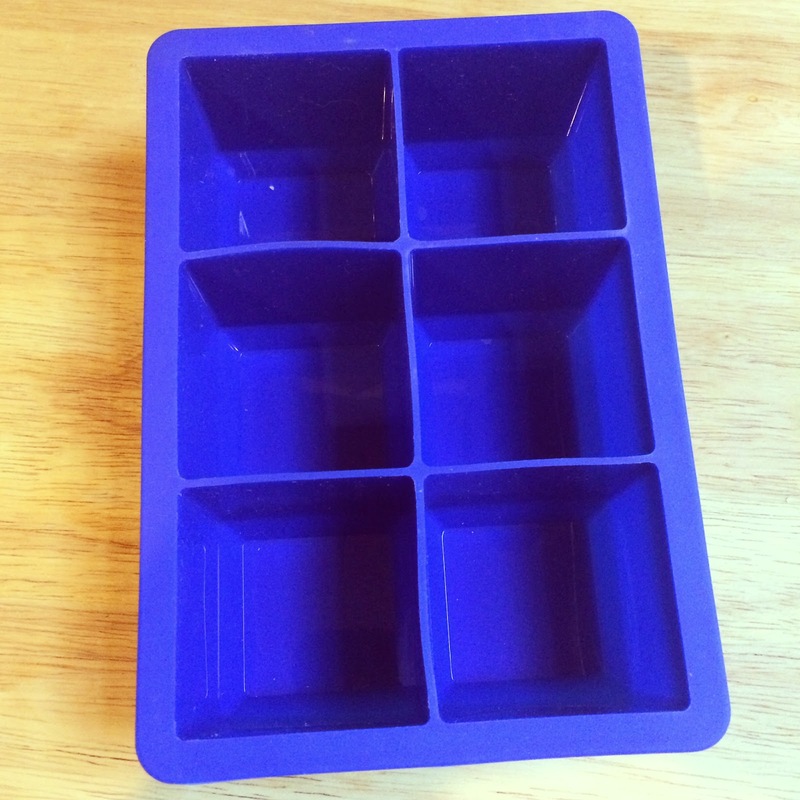 One of these super large silicon ice cube trays will come in handy too. 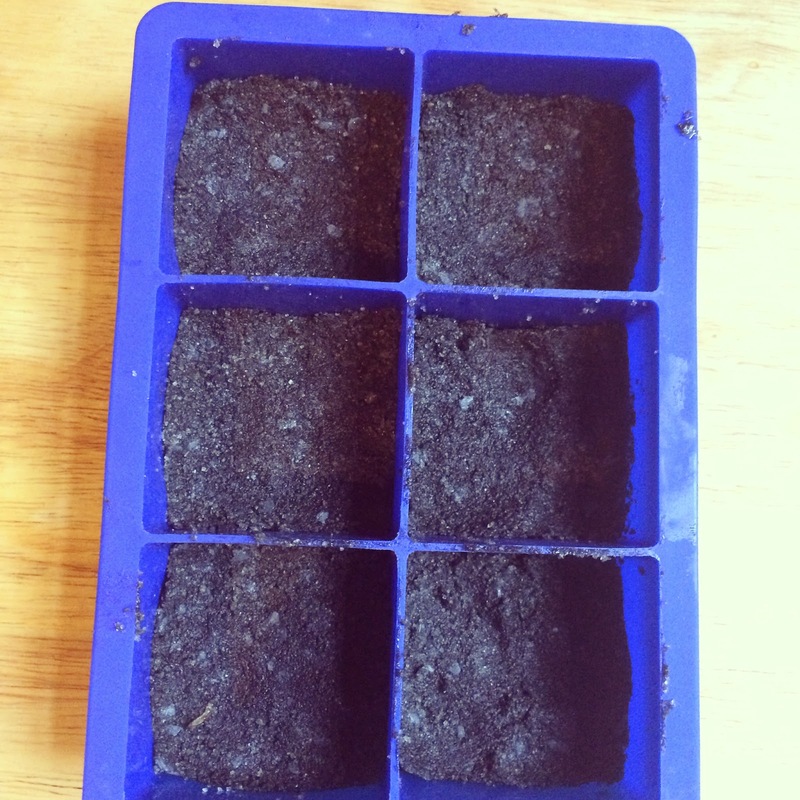 You can get a total of 24 shower cubes when you fill these up 2/3 of the way with the mixture. 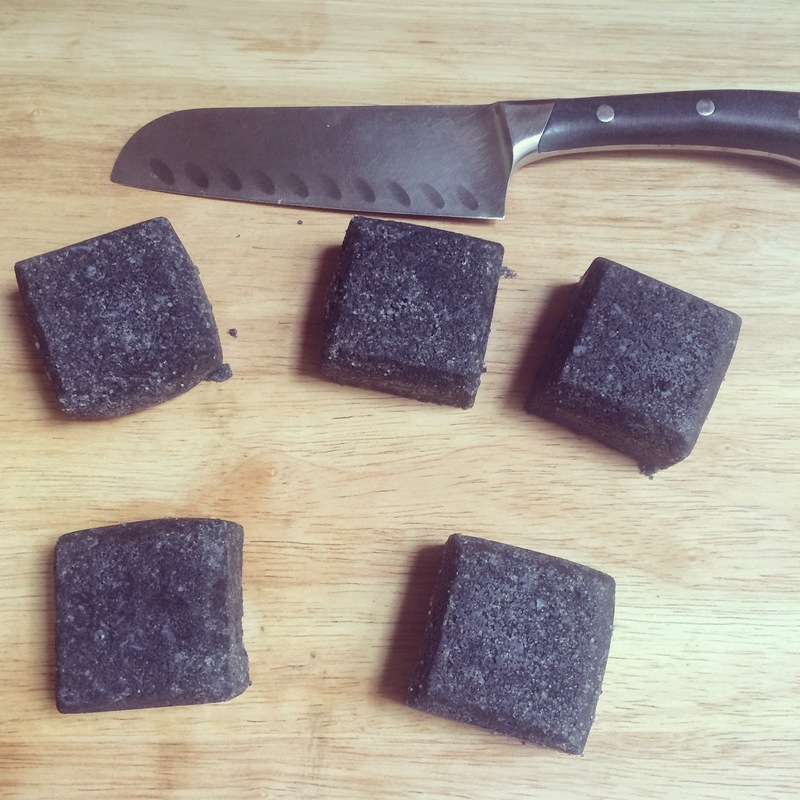 You simply cut each large cube into four small cubes. 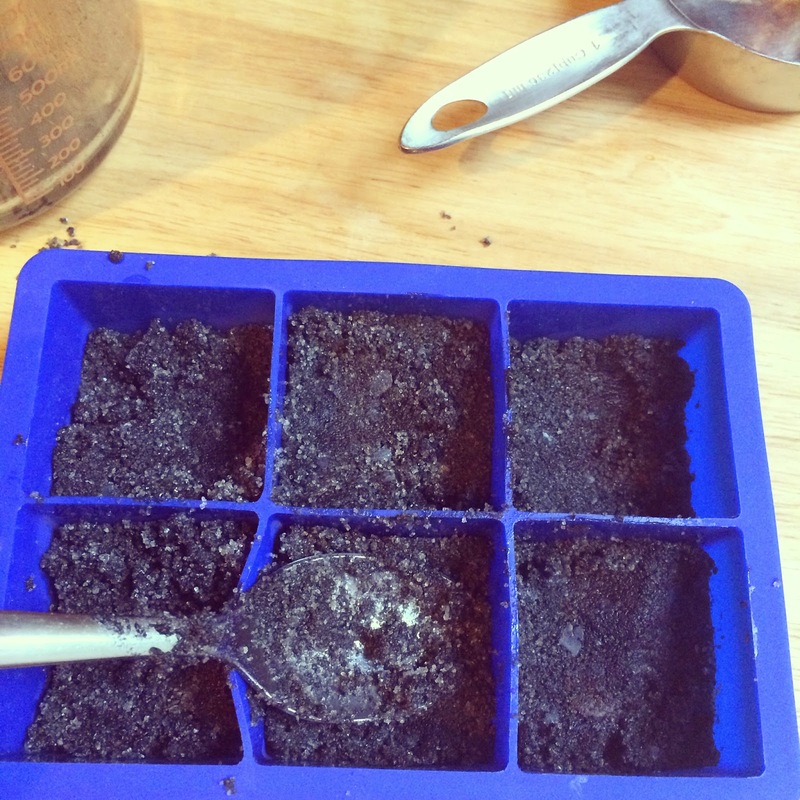 An ice cube tray will work just fine too. 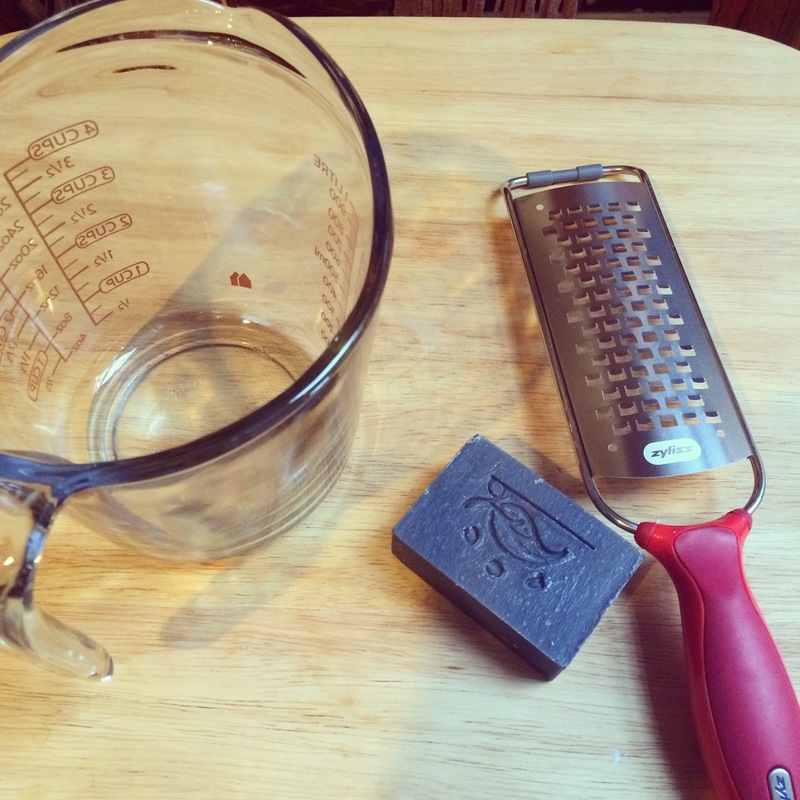 You need to grate your soap bar into a large glass measuring cup. The soap shavings will be nice and fluffy. 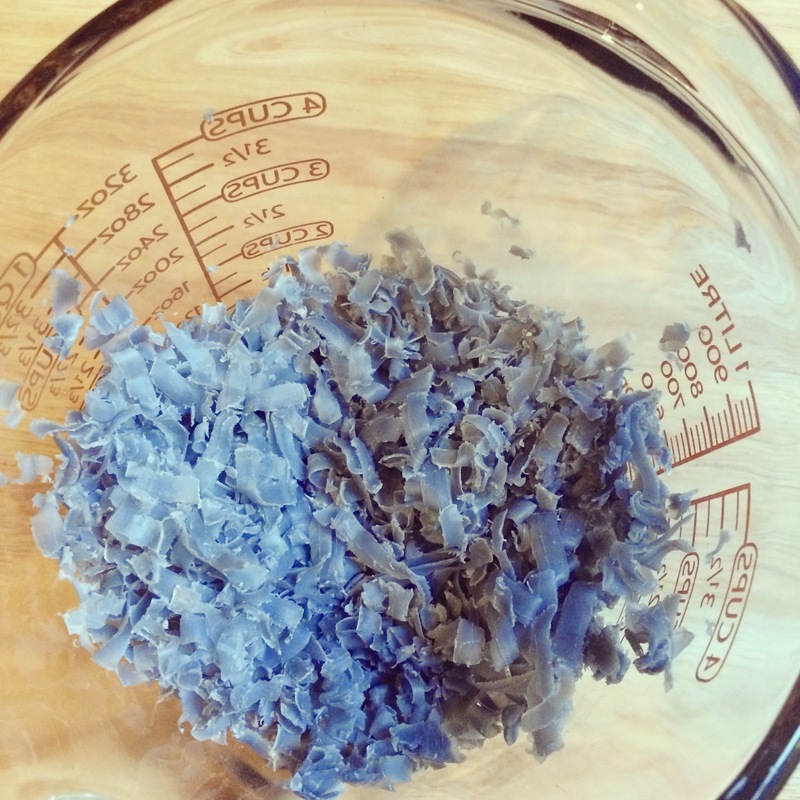 Add the coconut oil into the glass measuring cup with the soap shavings. Place the measuring cup into a pot with a few inches of simmering water. 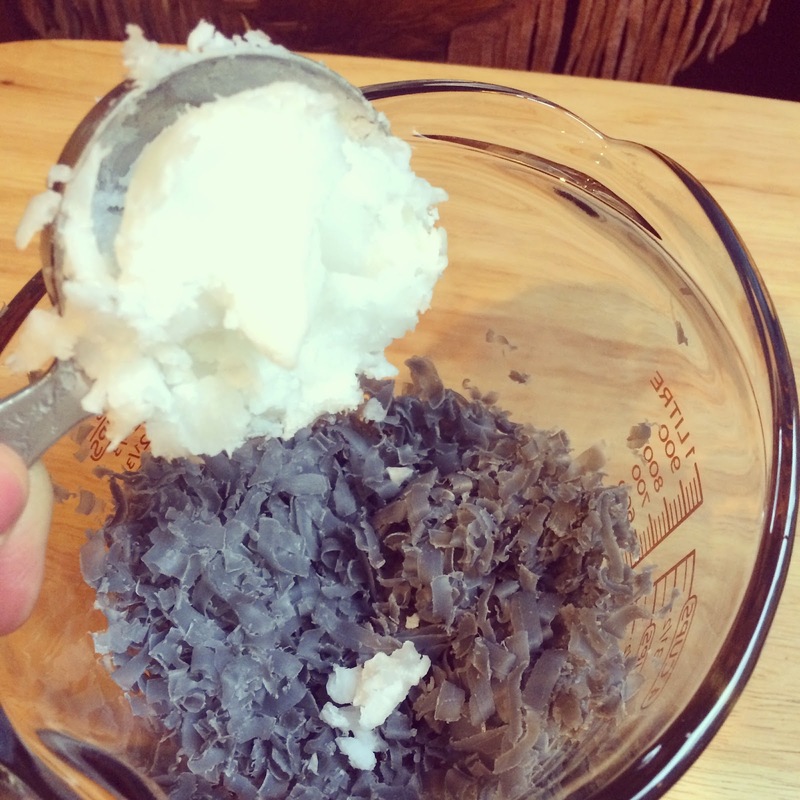 Allow the oil and soap shavings to melt together. Stir frequently. 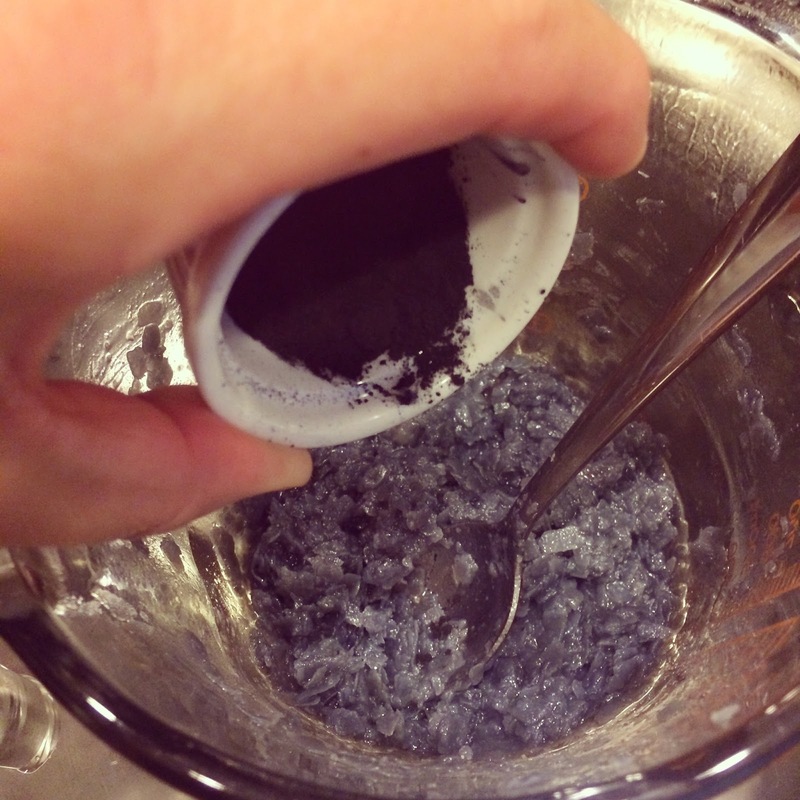 Add in the activated charcoal powder and stir well. 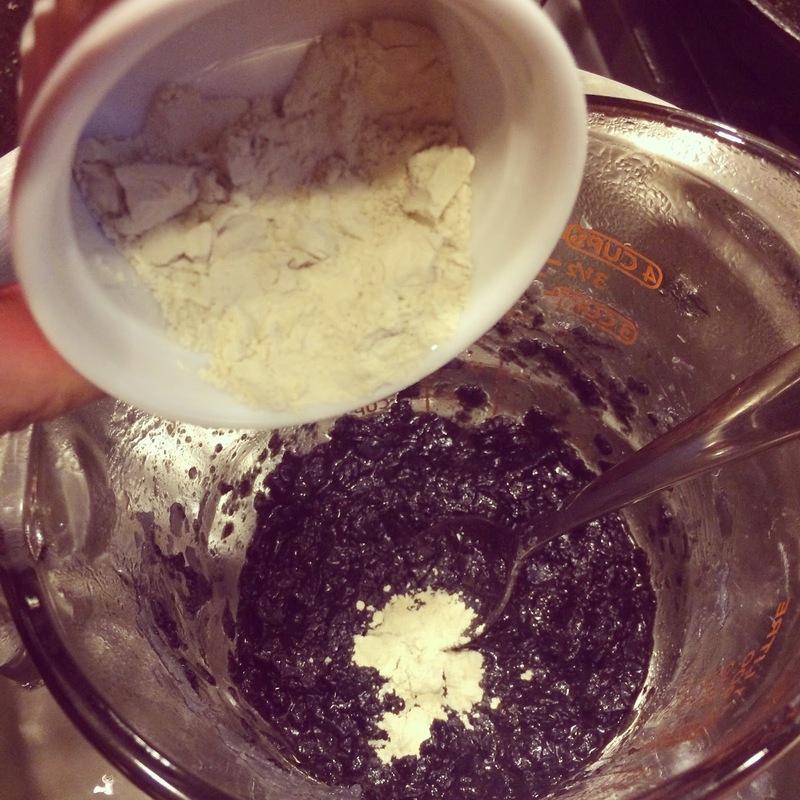 Your mixture should be melted and glossy black. Stir in the clay. Remove the glass measuring cup from the simmering water bath. Careful it will be hot! 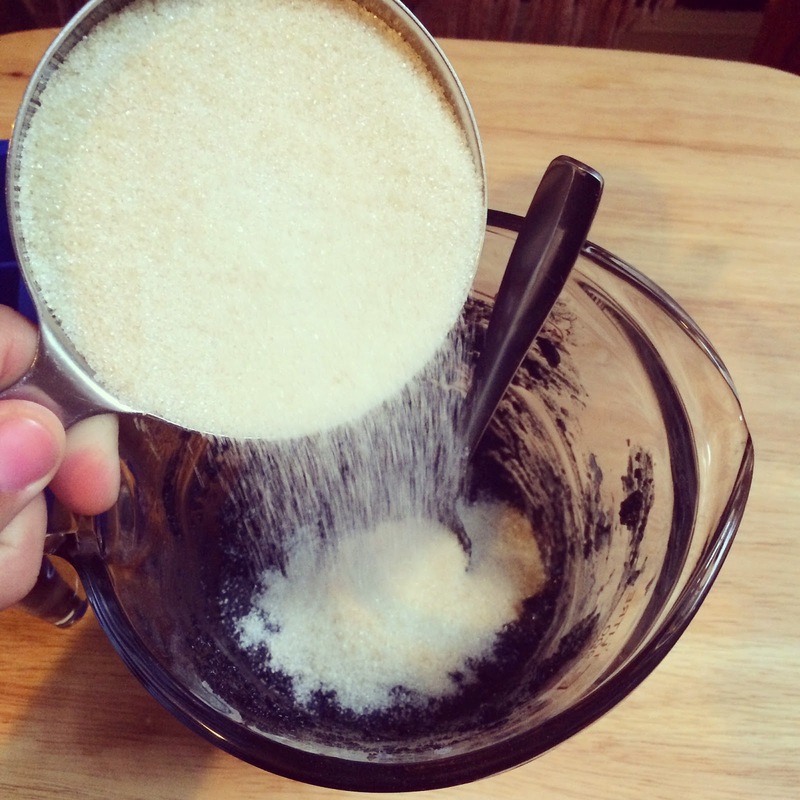 Quickly stir in the granulated sugar. Mix well. Press an equal amount into each cavity of the mold. Press it down firmly. Place the mold into the fridge for about 4 hours to firm up and harden. Remove the large cubes from the mold and onto a cutting board. 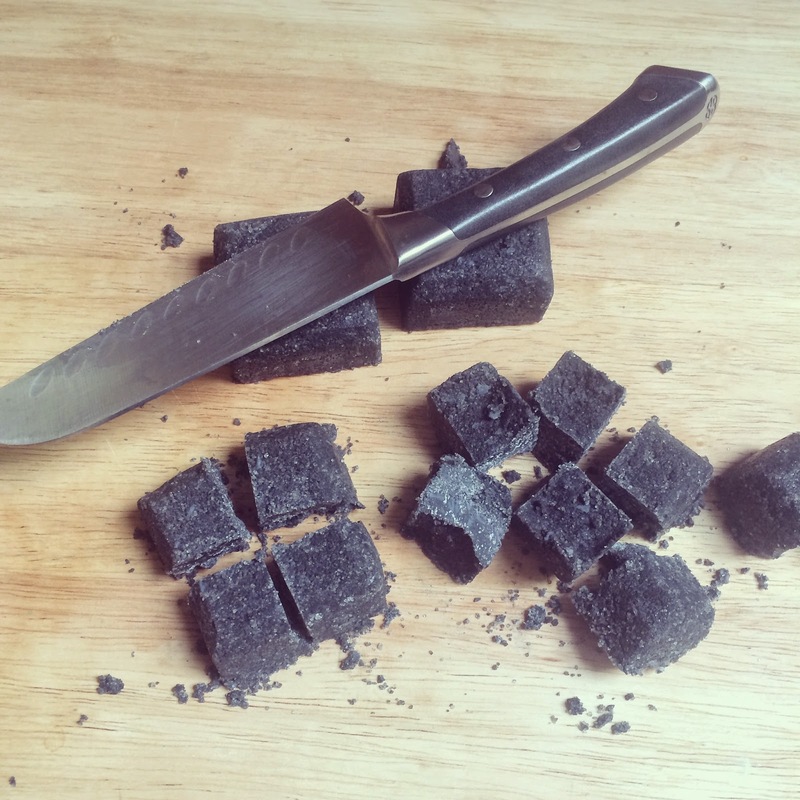 Carefully cut each large cube into four smaller cubes. 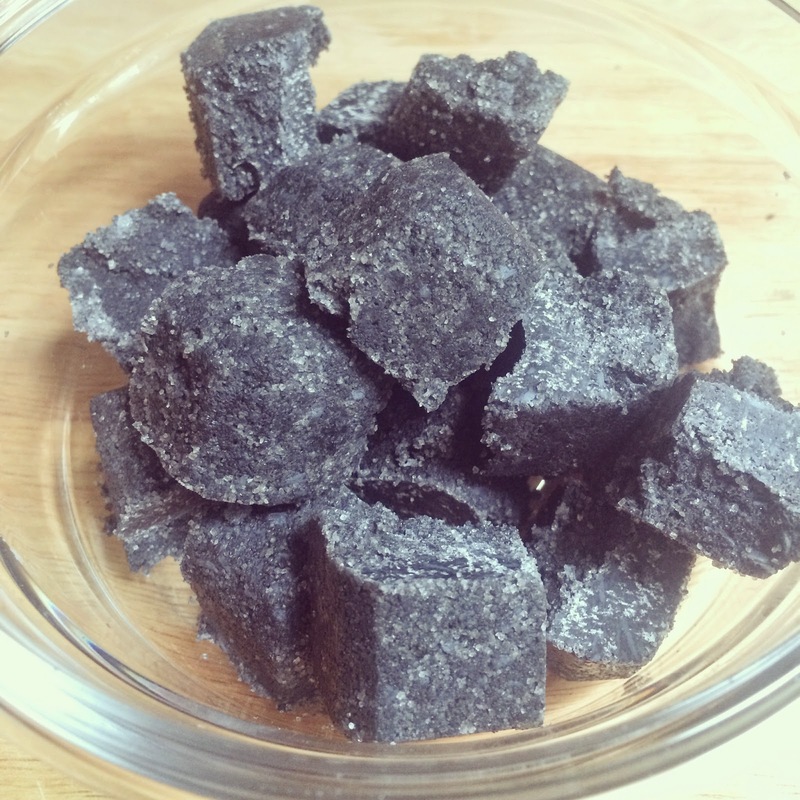 Each cube is enough for one full-body (not the face) exfoliating shower treatment. Store your cubes in an air-tight container with a tight fitting lid. To use: moisten your body in a warm shower. Turn off the water and start gently massaging one cube over your body, focusing on dry areas, in circular motions. 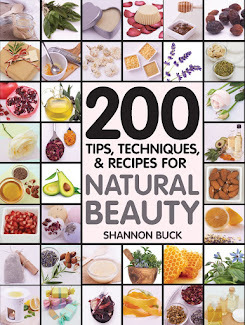 Continue massaging the sugar and soap over your body until the sugar has dissolved over your skin. Rinse away with warm water. **Your shower surfaces may be slippery, so be careful. his information is for educational purposes only, it is not intended to treat, cure, prevent or, diagnose any disease or condition. Nor is it intended to prescribe in any way. This information is for educational purposes only and may not be complete, nor may its data be accurate. As with all herbs, Do not take internally unless working with a qualified and expert practitioner. Keep away from children. 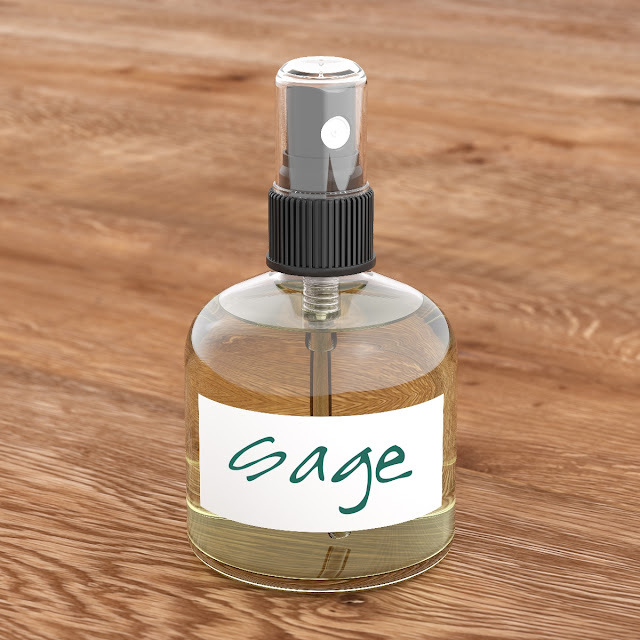 I am an affiliate with Mountain Rose Herbs,please review my disclosure page for details.. Avoid use unless discussed with your physician. This information is for educational purposes only. This information has not been evaluated by the Food and Drug Administration. This information is not intended to diagnose, treat, cure or prevent any condition or disease. Green Blessings!! !